LOUDON, N. H. – NASCAR’s very own dirt devil would prefer to keep the one dirt-track race currently on the schedule as a unique special occasion. Larson is well aware that Eldora Speedway owner Tony Stewart has been lobbying to bring a NASCAR Xfinity Series race—perhaps even a Monster Energy NASCAR Cup Series event—to the half-mile dirt facility, which on Wednesday hosted the Dirt Derby for the NASCAR Camping World Truck Series. 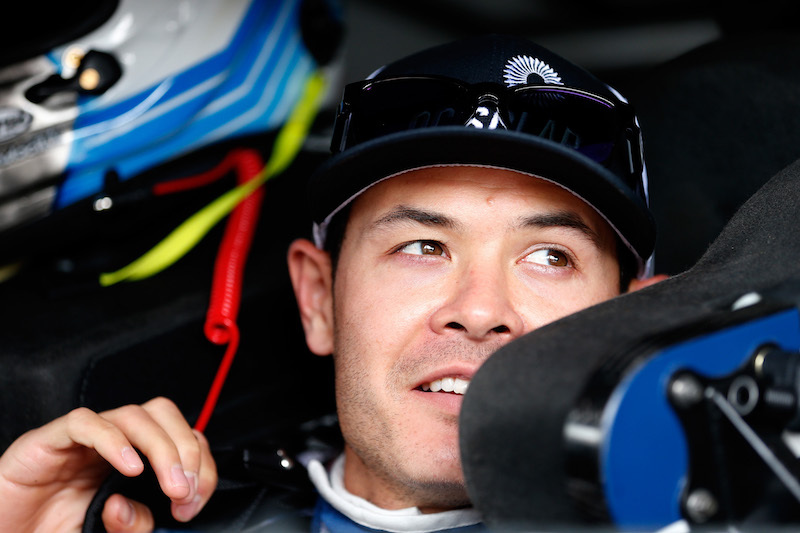 Larson, however, believes the Cup series belongs on asphalt. “Tony is probably going to get mad, but I would like to see it just stay as it is,” said Larson, who served as a guest analyst on FS1 for Wednesday’s races. “If anything, Xfinity, maybe, but I wouldn’t like to see Cup on dirt. Larson, who races midgets and sprint cars on dirt every chance he gets, is foremost among Chevrolet drivers in the Cup series. He’s currently eighth in the standings but has yet to win a race this season. Larson has had uneven results at New Hampshire Motor Speedway, but he expects to perform well in Sunday’s Foxwoods 301 at the Magic Mile (2 p.m. ET on NBCSN, PRN and Sirius XM NASCAR Radio). What Ryan Preece accomplished last year at New Hampshire Motor Speedway helped propel him to unqualified success in a limited run in NASCAR’s Xfinity Series. Preece didn’t win last year’s race, but his second-place finish opened eyes throughout the sport. And on his very next run, the modified ace won from the pole at Iowa to score his first series victory in his second trip in a Joe Gibbs Racing Toyota. The victory was the payoff from an enormous gamble. Backed by a group of investors, Preece opted for a few races in top-of-the-line JGR equipment versus a full Xfinity schedule in lesser-quality machinery. In four 2017 races with Gibbs, Preece finished second, first, fourth and fifth. Back in April, Preece scored his second victory, this time in a Dash 4 Cash race at Bristol. In eight Xfinity starts in the past two seasons, he has posted top 10s in all but one. The exception came in his last outing, in July at Daytona, where an overheating issue knocked him out of the race after 51 of 105 laps. Now Preece returns to New Hampshire for Saturday’s Lakes Region 200 (4 p.m. ET on NBCSN, PRN and SiriusXM NASCAR Radio). Originally, the race wasn’t on Preece’s schedule with JGR. “A lot of the people that supported me last year to do those two races (New Hampshire and Iowa), they wanted to get involved and do it again,” Preece said on Friday at NHMS. “And so we put it together so we can come back and race here in New Hampshire in front of all their friends and family and my friends and family. Though it hasn’t happened yet, Preece hopes continued success will lead to sponsorship money and a full-time stint in NASCAR racing . Joey Logano has vivid memories of New Hampshire Motor Speedway, where he came as a child with all his dreams intact. And unlike many children who fantasize about become elite athletes, Logano hasn’t deviated from the path he envisioned as a pre-teen. “All kids have a dream like that, and it’s really cool, and kids should have dreams like that and be able to try to make them happen. Sometimes you may have to change your dream as you go, but I’ve been fortunate enough to be able to be able to continue that long road to try to get to a championship. I still think it’s cool, though, to be out there.